Unleash the power of NSX with ReSTNSX. The ReSTNSX platform provides unprecedented value for new and experienced NSX customers alike. ReSTNSX integrates numerous disparate tools and processes into a single, unified platform. Our team has extensive experience designing, implementing and supporting VMware's NSX platform. During our journey, we have discovered not only gaps in the toolsets but often capabilities that don't exist without custom scripting or programming of standalone tools. One of the core features of ReSTNSX is the native ability to manage multiple NSX domains under a single pane of glass. 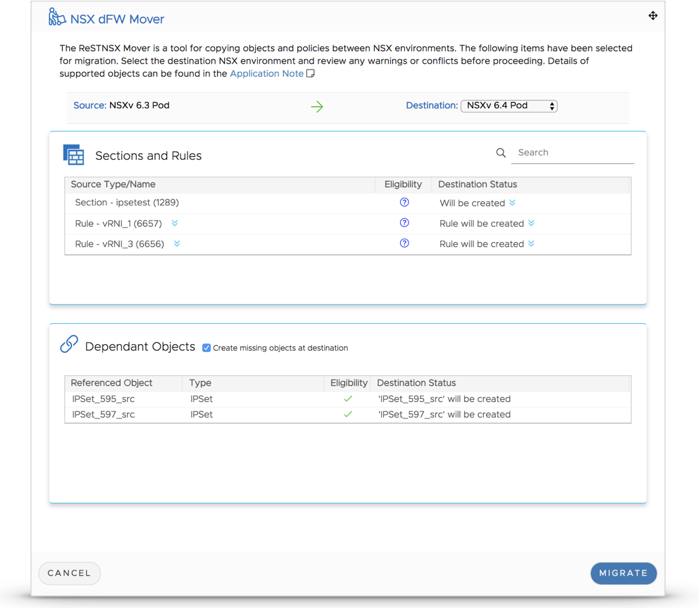 Users can easily switch between NSX Managers within the same ReSTNSX instance and copy objects and policies between within a few clicks. 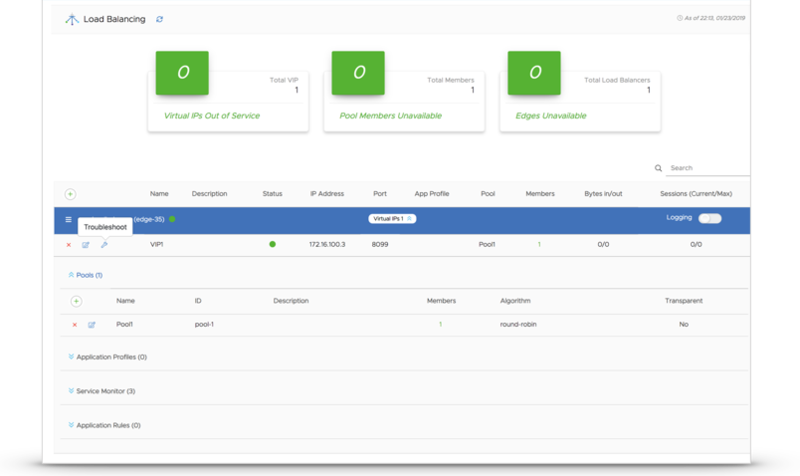 By having centralized management of all NSX instances, users can quickly and consistently provision objects and services through CSV templates or simple clicks. 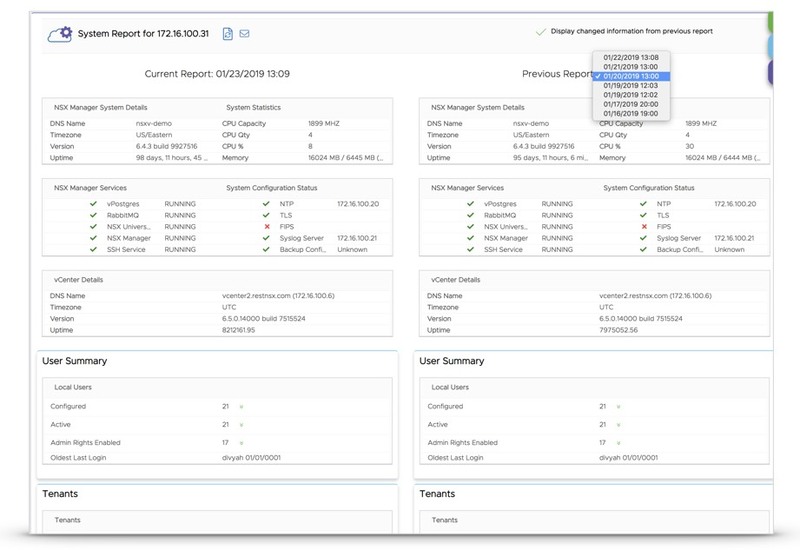 NSX-v and NSX-T data sources are managed under a single UI - thus providing a consistent user experience and minimizing the new technology learning curve. 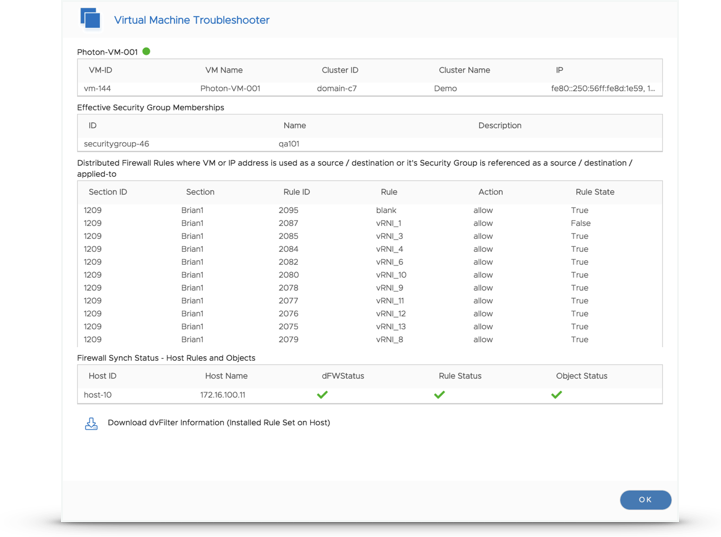 With ReSTNSX, users also no longer need to login to vCenter and NSX Manager. All NSX management is extracted into a separate, dedicated appliance. Every task within ReSTNSX is designed to minimize clicks. By organizing the UI into functional areas, users are able to quickly and easily configure, monitor and troubleshoot in the same pane of glass. 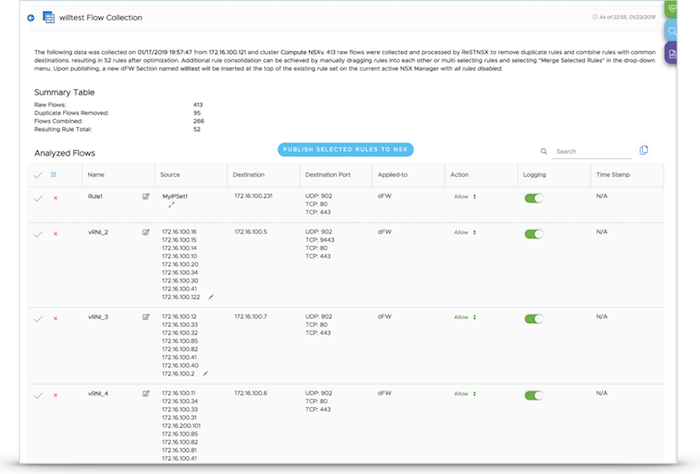 ReSTNSX runs daily collections on NSX objects and configurations. These reports provide a summary of the environment with the capability to email the results and provide difference reports to illustrate what has changed between the last collection. Micro-Segmentation of NSX is very powerful for enabling security down to the VM level. ReSTNSX not only supports all the core NSX capabilities of managing the distributed firewall (dFW) but also numerous capabilities only available through ReSTNSX, not limited to. 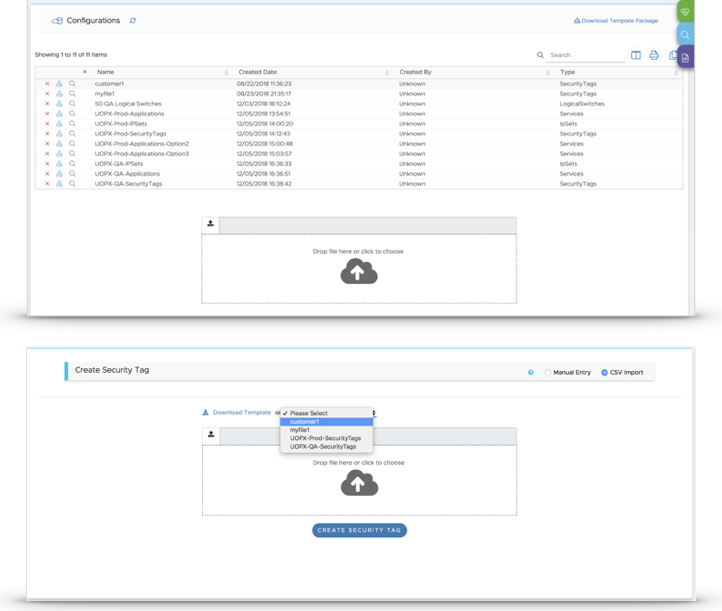 Copy rules and sections between sites - By importing / exporting CSVs between NSX Managers or selecting an entire Section or rule, users can quickly copy rules and objects referenced within the rule set to another location. Synch check - Easily check the cluster and hosts where the VMs reside to ensure the dFW rules and objects have been replicated across the environment. Without ReSTNSX, users would need to login to individual ESXi hosts to verify. Schedule - Set schedules for enforcement of any dFW rule. Natively import IP flows from vRealize Network Insight (vRNI) into NSX with a few clicks. ReSTNSX allows users to collect flows from vRNI and perform server side logic of de-duplication and optimization. Once imported into ReSTNSX, users can further modify the rule sets by converting raw IPs to IP Sets and / or VM-IDs. Once completed, a single click publishes to the NSX Manager of choice and can repeated against all data sources managed by ReSTNSX. Without ReSTNSX, multiple UIs, custom scripts and manual analysis is required. Configuration templates provide a standard method for creating multiple objects and policies with consistent results in any deployment. Users can extract existing configurations from any given NSX domain with a single click or leverage on-box CSV-based templates to complete for greenfield deployments. Either approach saves countless time and avoids manual errors. These files can also be stored on-box for use in ReSTNSX workflows. Being CSV-based, bulk creation of objects is easily performed. No scripting or continuous right-clicking required. With ReSTNSX, users can create 1,000 objects with just as much ease as 1. 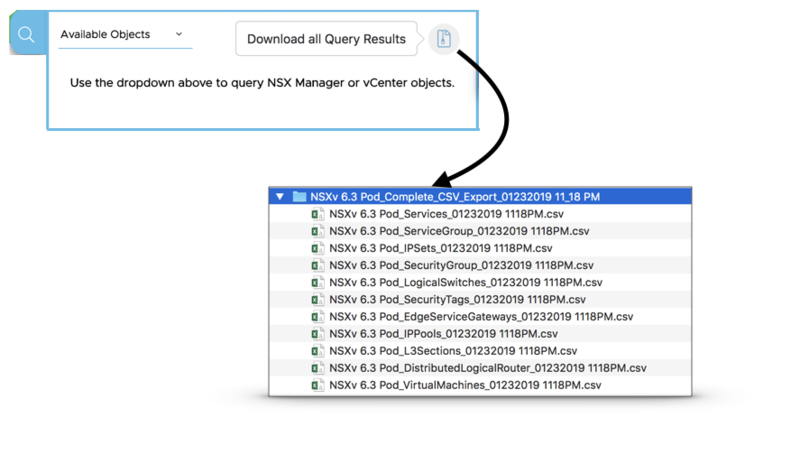 Extracting NSX objects and policies often requires custom scripting or 3rd party tools. Native to ReSTNSX is the ability to quickly and easily collect this information for review and/or use in workflows against other NSX Managers. This information may also be used for audit review to ensure compliance.